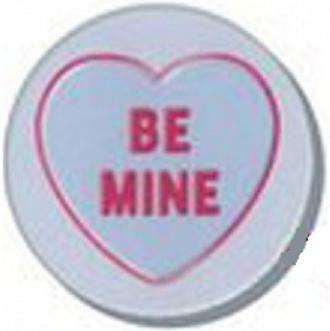 If you haven’t already got the love of your life a Valentine’s Day gift, let's face it, you are in trouble, and you need emergency remedial action. 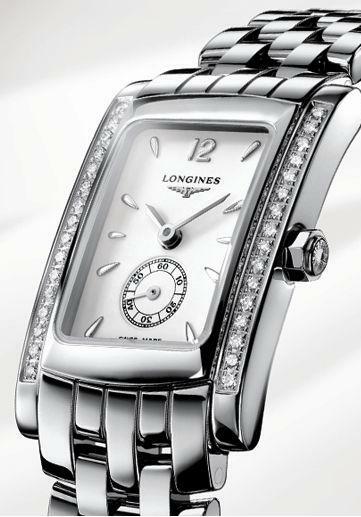 Fortunately Longines have come to the rescue with a range of ladies watches designed to make even the hardest heart melt. In fact there are two collections which ladies will simply love. There’s the Longines Dolce Vita range; a precious union of the sharp brilliance of steel and the soft warmth of rose gold. They run on a quartz movement calibre L178.2. Now don’t get sniffy simply because it’s quartz, the truth is, with some exceptions, most women couldn’t care if it’s quartz, kinetic or automatic as long as they don’t have to fuss about with winding it up and correcting it. The Dolce Vita collection for ladies is in steel and gold and set with diamonds, there are various models with more or less diamonds depending on how much you want to pay. If Dolce Vita is good enough for British actress Kate Winslet, it’s quite likely to be good enough for the lady in your life. The other Longines collection is the Prima Luna range, modeled here by gorgeous Indian Bollywood princess Aishwarya Rai Bachchan. This range from the St. Imier watchmaker was launched last year. The Prima Luna collection offers a wide range of styles with a soft round case and classic jewelry style bracelet. Longines has been wise enough to offer the design in steel with modestly priced quartz movements all the way up to high end luxury models in gold and diamonds with automatic mechanical movements in them so that they are affordable for just about every pocket. Each model is 30mm wide with a sapphire crystal and water resistant to 100 meters. Even the basic models make an elegant statement. The dial designs vary intensely, but the best are likely to be those that resemble the Cartier look with Roman numerals and blued steel hands. Diamonds are available for the hour markers as well as on the dials. 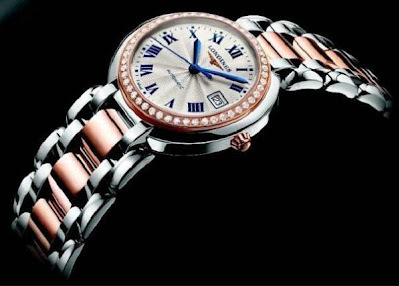 In addition to the all steel or all rose gold models are two-tone models as shown - while the rose gold is either an applied tone or the metal itself. So come on, if you drop by the jewelers on the way home tonight and cram one of these beauties on to your credit card, she need never know you completely forgot.